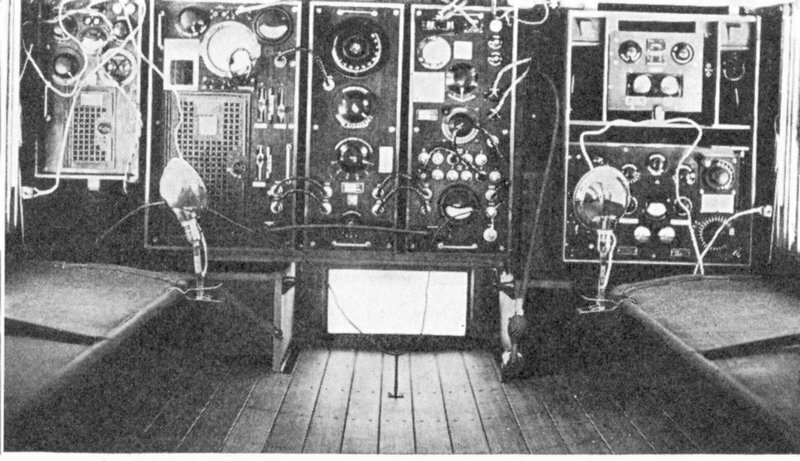 The "Heavy motorized wireless station S.M." 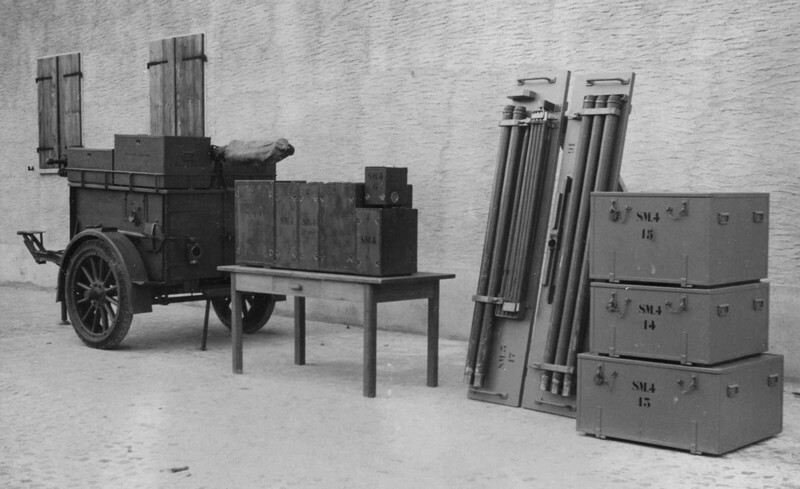 with components on a trailer has been developed by Telefunken Berlin in 1923/24, it had the same components as the "Heavy mobile wireless station F.S. ", which was installed on a a triaxial truck FBW with an antenna trailer. This equipment, which was already outdated before World War II was handed over to the Signal Troops Funker Kp 5 in 1937. All equipment has been taken out of the trailers and was boxed in 17 huge wooden carrying crates, it hardly ever saw service in the years of World War II. After 1951, the station equipment was assigned to Landsturm Funker Kp 57 until the station was liqidated in 1960.
powered by petrol operated Siemens generator (100 V, 500 Hz, 20A as well as 50V, 12 A). In 1923/4, the components of the "Fahrbar Schweren Funkstation F.S." (heavy mobile wireless station) have been developed by Telefunken GmbH, Berlin. When installed in a triaxial truck FBW the station was designated "Schwere Motorfunkenstation" / S.M." (heave motorized wireless station), four stations have been acquired in total. 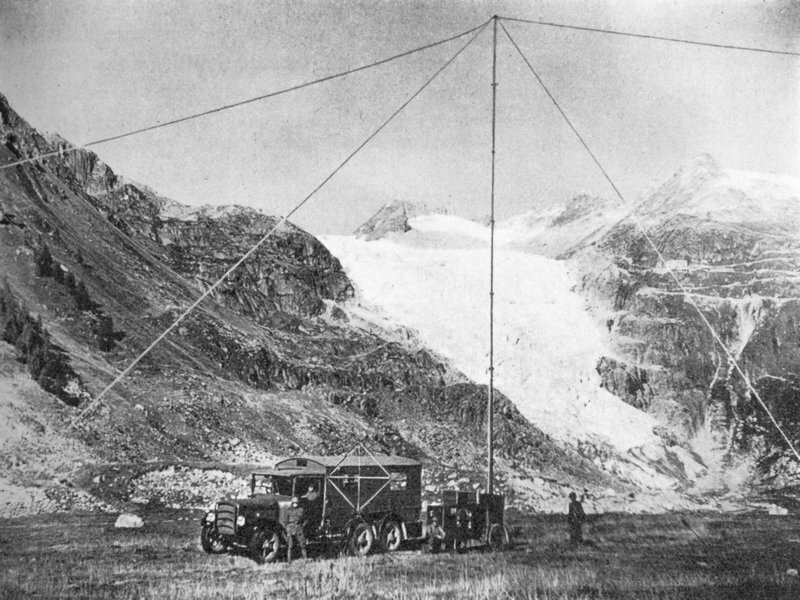 The motorized station with the FBW truck (8600 kg) and the antenna mast trailer (1400 kg) has a construction similar to the German "Schweren Kraftwagen Funkstelle" of the Reichswehr and was used in mountain regions, there the limbers of the "Fahrbaren Schweren Funkstation F.S." were unsuitable because of geographic conditions. The Transmitter Telefunken Spez 219Bs is tuneable from 350 - 3025 m (99 - 857 kHz). The valves used in the transmitter are a RS55, two RS19 and a rectifier RG64. The transmitter has an output of 200 W in CW telegraphy (A1) and 70 Watts in modulated telegraphy and telephony. 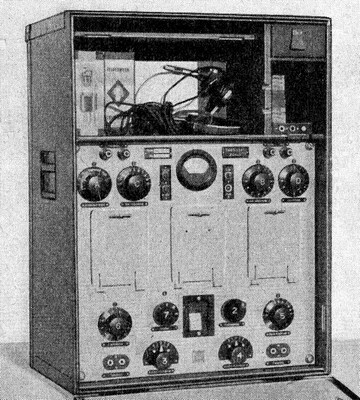 In the first years, the Receiver Telefunken Spez 7 Bs (Empfänger E-25) (with two RE 062t) and a separate two stage voice amplifier Spez 60 Bs were used, in 1933, this receiver was replaced by the longwave receiver Telefunken Spez 470Bs / E-31, this TRF receiver with threee tuned circuits covers longwaves 100 - 1091 kHz in four ranges, six valves RE074 neutro are used. The stations "S.M." haven assigned to Signals Kp 5 in 1937, in the years after mobilisation in World War II, the components of the "S.M." as well as the ones of the "Fahrbar Schweren Funkstationen / F.S." have been taken out of the vehicles and have been boxed in wooden crates to be used as portable / fixed station, this station got the designation SE-216 after 1951. After 1951, the stations habe been assigned to the Landsturm Fk Kp 57 / 58 until they were liquidated in 1956/60. 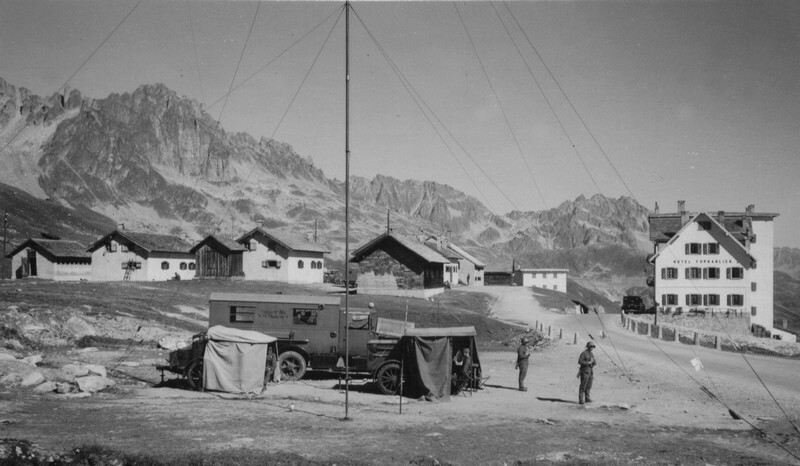 The FBW trucks have been re-used as mobile Wireless Command Posts of the Military police and after 1951 as mobile Signals Intelligence training station. d: documents "Funkstationen der Armee"